our first stop once we start fulltime RVing? 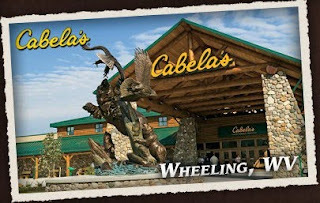 yeah, cabela's! Awesome.. LOVE the zip code answer!! I will have to remember that! We are hoping to see another RV today.. Im so ready to get one and begin our journey!!! some have free dump and water! And you can boondock for free! sounds perfect to me. Have fun, we want to go to the one by us too, we also have not gone, just to bass proshop! I am so excited for you all! woohoo! have fun!